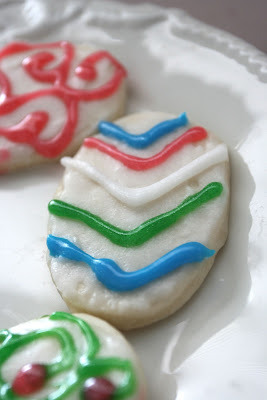 For our family Easter gathering last week, I decided to bring some frosted sugar cookies. Truth be told, that is just about the only junk food that I have a hard time resisting. If frosted sugar cookies are around me, I will eat them. I can ignore most everything beside those! It's really a terrible obsession. Oh well! I couldn't resist breaking out my little bunny cookie cutter. Anyways, I wanted my cute daughter to help me with the decorating because I knew that she would do a really good job with it. I was right! How cute are some of her designs? Adorable! I had some glittery decorator frosting (not my favorite at all, but the kids love it), and I first glazed each cookie with some Coconut Glaze. I have been on a Coconut Oil kick lately...I find myself using it for almost every application I can imagine. It's so good for you, and it tastes so good! I almost can't resist using it. 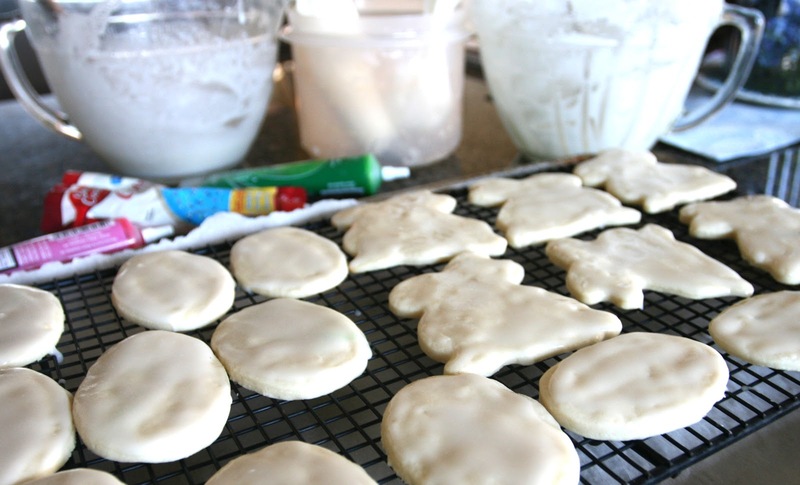 Make sure to check out the recipes for all three on my food blog! 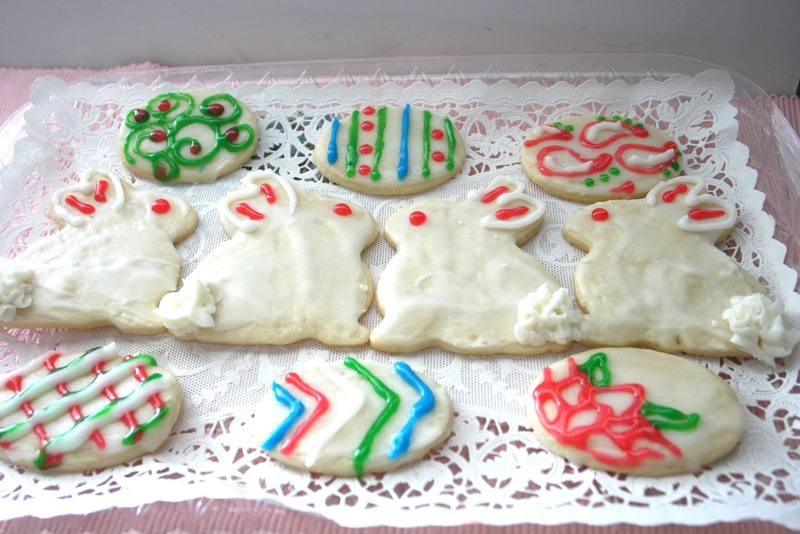 I used the Coconut Glaze to cover the tops of all the cookies and then I gave the bunnies their fluffy tails and ear markings with the Coconut Buttercream. I am telling you what....that buttercream is like nothing else you have ever tasted. Ooh la la!! 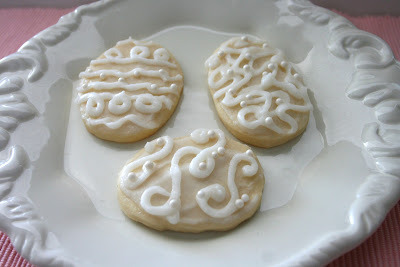 I opted to make a few Lace Egg cookies using just the buttercream and white Dragees without any of the glittery glaze. 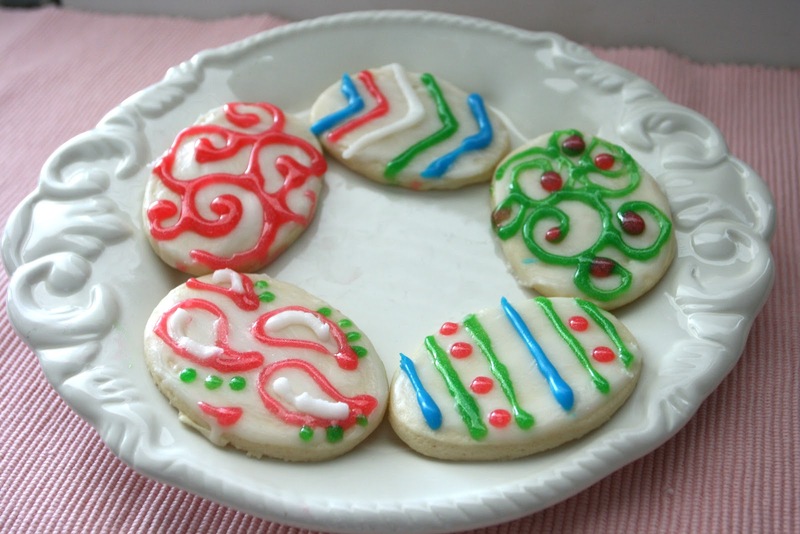 I think they turned out lovely...I will probably replicate this idea at Christmas using round shapes to look like ornaments. 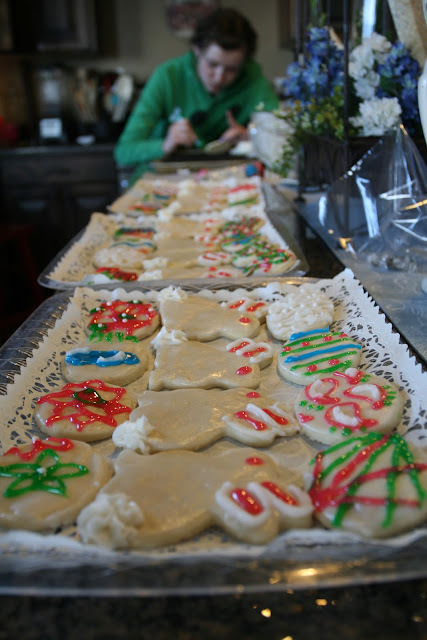 My daughter is at the far end of my kitchen counter in the pic below....finishing up some of her egg cookie creations. I love that girl so much! She is so talented and creative!